Part of the Historic Sussex Hotels group, the Spread Eagle Hotel has certainly been around a while. That much is evident from the ancient wood panelling in the reception area and the wonderful staircase leading up to the first floor. 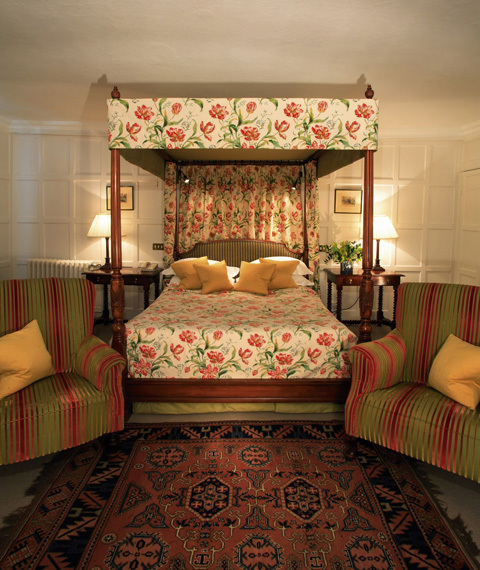 The hotel group is run by Miranda and Pontus Carminger and also includes medieval Bailiffscourt near Arundel, and Ockenden Manor at Cuckfield. 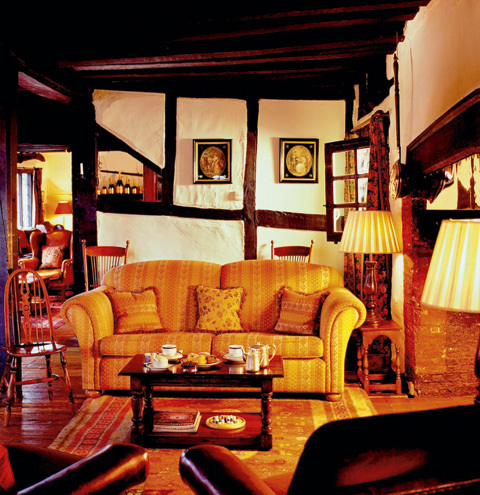 All three hotels have rich and long histories, but have been suitably renovated to cater for the needs of the modern traveller and game shooter. On the night of my stay at the Spread Eagle Hotel, another shooting party was enjoying drinks in the bar, before retreating to one of the numerous private dining rooms for a classic pre-shoot session. They were complete with gundogs as they wandered through the main restaurant, which is a sure sign of a shooting-friendly establishment. You could be spread-eagled here after a night at the bar. There are 39 bedrooms here, although not all have such claims to fame as the White Room, which houses a secret passage reputedly used by fleeing smugglers, or miscreants of another kind, perhaps. I was visiting as part of a shooting trip in the beautiful Meon Valley, less than half an hour away, and with its proximity to the South Downs and the likes of Angmering, Arundel, Bury Hill and Petworth, there is plenty of shooting in the area. The ancient part of the hotel is loaded with character. Good service, excellent food and a comfortable night’s sleep ensured I was ready for the peg the next day. Although the absence of a shower in my bathroom was rather annoying, even if it is in keeping with the ancient theme. What we ate at the Spread Eagle Hotel: Rabbit terrine with glazed shallots and homemade piccalilli (£9.50); honey-glazed duck breast with celeriac puree, roast potatoes and wild mushrooms (£18.50); a selection of British and French cheeses (£10). Spread Eagle Hotel plus points: Impressive older part of the hotel, with wood-panelling and nooks and crannies galore. Good service and excellent food. Shooting-friendly and excellent location. Spread Eagle Hotel drawbacks: The more modern part of the hotel doesn’t quite have the charm of the ancient core, but that’s hardly unusual. No shower in my room meant I was off form for the first drive of the day! Spread Eagle Hotel cost: From £89. Spread Eagle Hotel contact: www.hshotels.co.uk or 01730 816911.